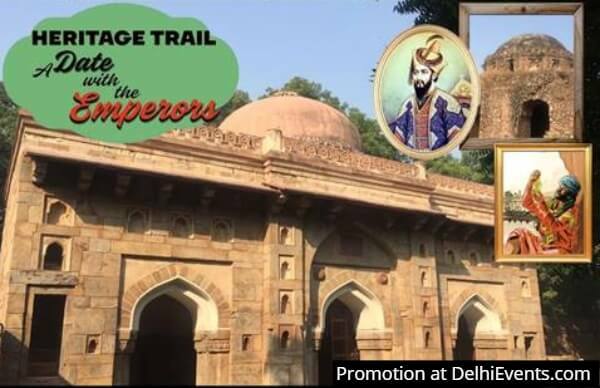 Event Description : WALK : Hands On presents "Heritage Trail : A Date with the Emperors"
Come for a Date with the Emperors of Delhi and explore the unexplored ruins and monuments associated with the Khiljis, Tughlaqs and Lodhis. Murder, intrigue, plotting in the harem, treacherous generals…hear stories, tales and legends that bring to life those times. An emperor prone to say ‘off with the head’, the greatest explorer who came ‘Pehen ke joota’, the emperor known as The Mad Genius, and much more.